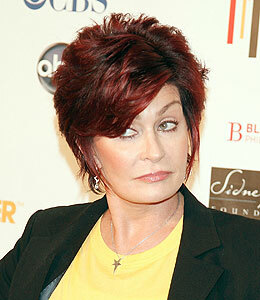 Sharon Osbourne: Claws Coming Out? Rumors are swirling that the First Lady of Rock, Sharon Osbourne, got into a catfight with one of her "Rock of Love" girls -- but is it true? According to contestant Megan Hauserman, that's a yes! Meow! The model filed a police report alleging that Sharon pulled her hair during a taping of the show, and TMZ has obtained a photo of a chunk of hair missing from the blonde's head! Mrs. Ozzy refused to comment on the alleged incident.